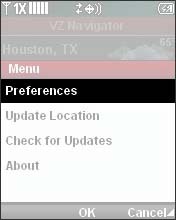 If necessary, update the VZ Navigator app to the latest version. 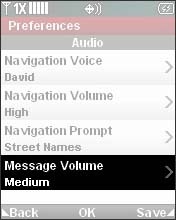 Images may vary depending on the device. 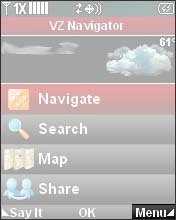 While in VZ Navigator, press the right soft key to choose Menu. 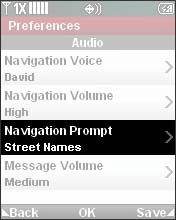 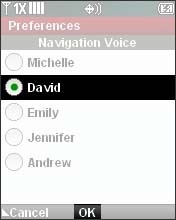 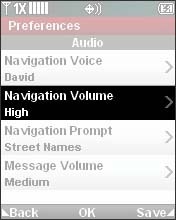 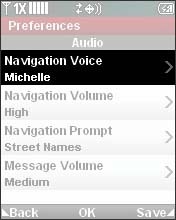 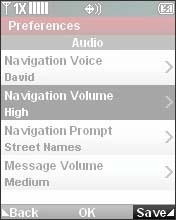 Select a voice option (e.g., Michelle, David, Emily etc.) 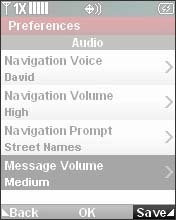 then select OK. 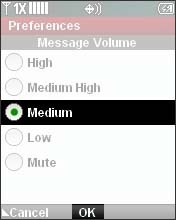 Selected when a dot appears on the circle. 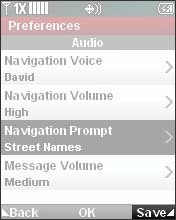 Press the right soft key to choose Save. 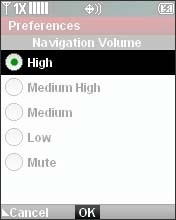 Select a volume setting (e.g., High, Medium, Low, etc.) 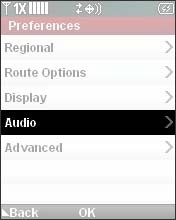 then select OK. 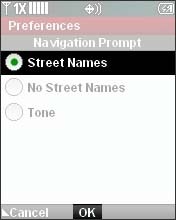 Choose a prompt (e.g., Street Names, Tone, etc.) 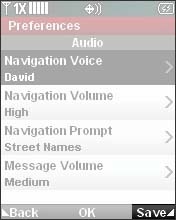 then select OK.